Find us just ten paces down Jasper road from Westow hill , one of the main roads of the Crystal Palace triangle. Free parking is available on Jasper Road and surrounding roads. 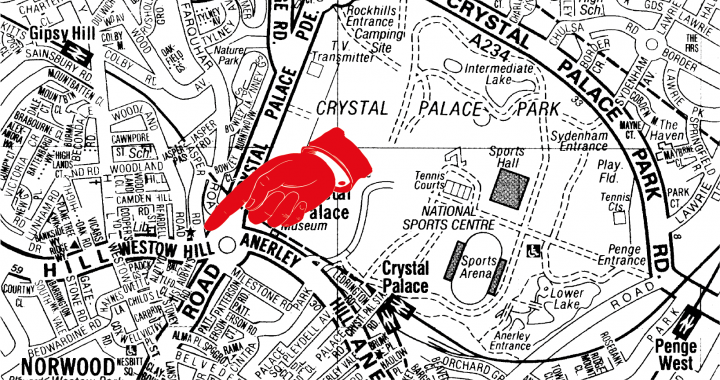 The nearest rail station is Crystal Palace . Mainline trains run from London bridge station and take around 20 minutes.The London overground network also serves this station connecting to east London and with the London underground network at Canada water. If you are worried about getting your item home…. we deliver all over London and beyond.